Warrior Sisterhood’s annual and biggest fundraiser of the year will be in a new venue this year. The fifth annual Pink the Parkway event moves this year from The Parkway to the nearby John Dam Plaza at 815 George Washington Way in Richland. This means the popular fashion show featuring cancer survivors will be on the HAPO Community Stage. Pink the Parkway also features live music and other performances, food trucks, vendors and a kids zone with activities for children. The cost for admission includes drink, food and shopping deals at a variety of Parkway businesses. Tickets to the event are $15 per adult and $5 for kids. One child is admitted free with a paying adult. “It’s always a great time and it’s for a great cause: helping women with cancer. 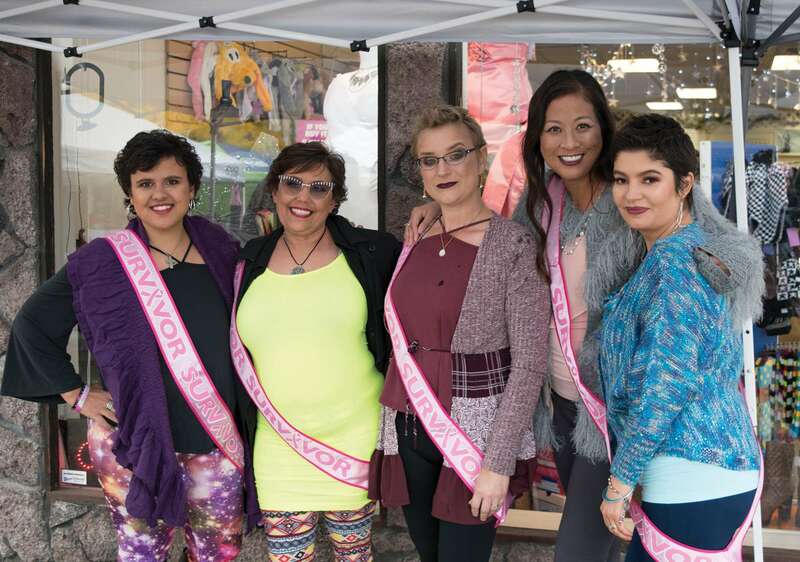 Warrior Sisterhood provides a safe, nurturing group for cancer patients and survivors to connect and receive support from one another,” said Jen Ollero of Kennewick, a breast cancer survivor, who is Warrior Sisterhood’s president. This year’s Pink the Parkway is from 11 a.m. to 4 p.m. Saturday, Oct. 13. Misty Ovens of Richland, a breast cancer survivor, is one of Warrior Sisterhood’s founders. She’s been amazed at the community’s support for Pink the Parkway over the past four years. Warrior Sisterhood was founded in 2013 by four Tri-City women who wanted to create a safe, supportive place for other young women fighting cancer. Today, more than 100 women are members of the group that no one wants to join. Warrior Sisterhood’s goal is to empower local women with cancer or a cancer-related diagnosis and survivors. There’s no age requirement to join, but many women in the group are trying to balance a job, family and busy life along with their endless medical appointments and fears about a recurrence. The women meet monthly, rotating between the Tri-Cities Cancer Center and other venues in the community. Warrior Sisterhood offers emotional support during monthly group meetings, fun get-togethers and activities, group yoga classes and connection through a private Facebook group. The group distributes chemotherapy gift bags to cancer patients stuffed with useful items and tips to make infusions more comfortable. The bags are typically delivered by a cancer survivor which provides the patient hope and strength to see other women on the other side of treatments. Warrior Sisterhood also provides nominal Visa gift cards to newly diagnosed women under 45; free yoga scholarships to patients going through treatment; an annual two-night retreat for cancer patients and survivors; and raises money and cancer awareness at community events to support its mission. For more information about the group, visit https://tccancer.org/warrior-sisterhood; email tcwarriorsisterhood@gmail.com; or find the group on Facebook, Twitter or Instagram; or call the Tri-Cities Cancer Center at (509) 737-3413. ©2018 Tri-Cities Cancer Center. All Rights Reserved.